Drag queens and scantily clad men may steal the show, but a group of religious gays and lesbians prove the community has a modest – and pious – side, too. Drag queens, the divas that they are, always steal the spotlight (must be the big hair). And if not them, then it’s the go-go boys in their gold booty shorts. Crowds love a spectacle and, when it comes to Gay Pride, a spectacle they get. But that spectacle, fun and festive though it is, still trades in the stock characters and stereotypes that always represent the lesbian, gay, bisexual and transgender (LGBT) community. 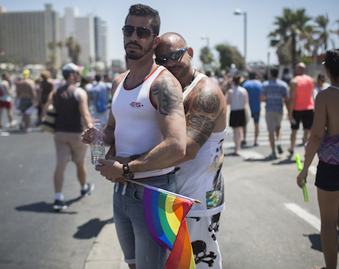 Not to complain or anything – who doesn’t love a bronzed six-pack or a six-foot Adonis in heels – but Tel Aviv Pride is a bit more interesting and diverse than that. Take, for example, the delegation of proud, God-fearing religious gays and lesbians appearing in the parade: They remind us that sexuality and spirituality are not mutually exclusive. Pride parades, for better or for worse, have become something of a contest of who can wear less. But for Havruta and Bat Kol, modesty is a virtue. 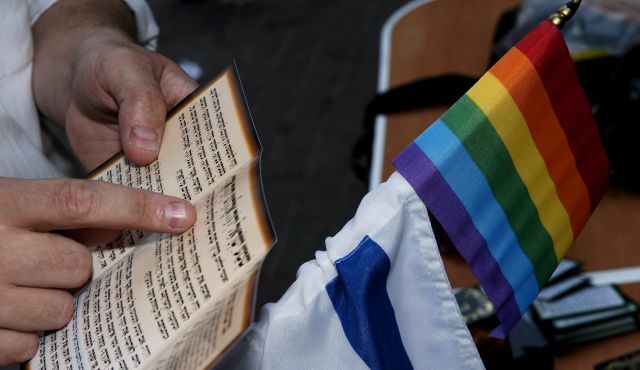 Havruta, the organization for religious gay men, and Bat Kol, the organization for religious lesbian women, have been marching in Pride parades in Tel Aviv, Jerusalem and Haifa for the past four years. 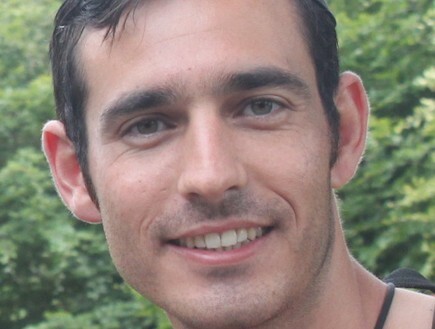 “In the past few years, we realized we bring a different and unique voice to the march, especially in Tel Aviv,” says one of Havruta’s chairmen, Daniel Jonas, explaining how their presence helps bridge Judaism and the LGBT community. “We represent something else, more moderate, more communal,” he says. 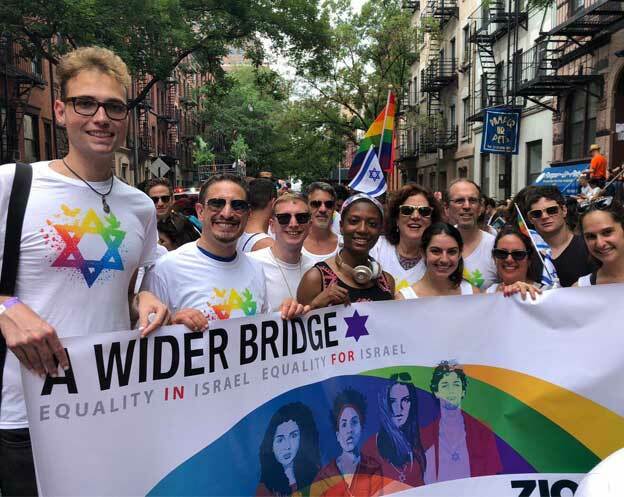 He admits that the parade’s debauched atmosphere doesn’t totally jive with their taste – “It’s not exactly something you’d see in a synagogue” – but the visibility is important.